In 2017, Marc Leuthold spent three summer months as the awardee of a Blanc de Chine Artist’s Residency at the Wanqi Art Center. The award was sponsored by the Yishu-8 Foundation and Adam Yu of Beijing. Leuthold was nominated for the residency by artist and Dean Baiming of Tsinghua University, Beijing. Leuthold made sculptures, and an installation titled Esprit, and a video that documents the Esprit installation. The installation was created in the studio and with the cooperation of Song Liu Yen in Dehua, China. This entry was posted in Residency on October 3, 2017 by Marc Leuthold. 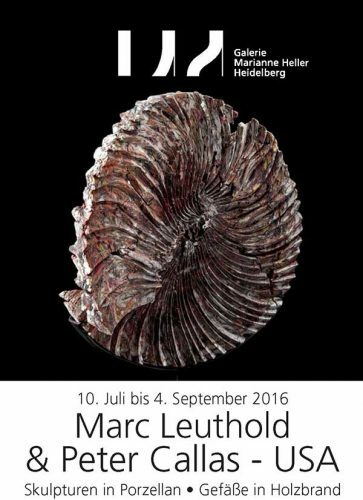 Marc Leuthold’s work is featured along with that of Peter Callas at Gallery Marianne Heller in Heidelberg, Germany from July 10 to September 4, 2016. An essay by Dr. Walter Lokau accompanies the exhibition. This entry was posted in Exhibition and tagged ceramics, Gallery Marianne Heller, Marc Leuthold, porcelain, sculpture on May 17, 2016 by Marc Leuthold. Marc Leuthold’s work is featured in a lavishly illustrated two-part feature in China’s Universal Art magazine. This entry was posted in Publication and tagged ceramics, China, Marc Leuthold, Universal Art on September 2, 2015 by Marc Leuthold. New Ceramics interview in September/October 2015 issue. This entry was posted in Interview and tagged Evelyne Schoenmann, interview, Marc Leuthold, New Ceramics on September 1, 2015 by Marc Leuthold. This entry was posted in Exhibition, Lecture and tagged Galerie Marianne Heller, Marc Leuthold on July 21, 2015 by Marc Leuthold. On July 30th and 31st, the Werkschule-Werkstatt für Kunst und Kulturarbeit (an art school) in Oldenburg, Germany, will host Marc Leuthold’s masterclass and demonstration/lecture. This event is part of the so-called “Portrait” program and coincides with Leuthold’s exhibit at the Oldenburg Museum of Art and the Ceramics Market. Ceramicist Martin McWilliam will also be presenting. Please drop by if you are in the area. This entry was posted in Exhibition, Lecture and tagged ceramics, lecture, Marc Leuthold, Oldenburg Museum of Art, Portrait program on June 19, 2015 by Marc Leuthold. Marc Leuthold is featured along with Dawn Clements in the Bates College Museum of Art exhibition Back and Forth: The Collaborative Works of Dawn Clements and Marc Leuthold. The artists will discuss their collaborative process in a presentation at 6 p.m. Friday, Feb. 6, in Room 104 of the Olin Arts Center, 75 Russell St.
A reception in the museum, which is also located in the arts center, follows the lecture. The exhibition runs through March 21. Museum hours are 10 a.m. to 5 p.m. Monday through Saturday, and until 7 p.m. Wednesdays during the academic year. Admission is open to the public at no cost. For more information, please call 207-786-6158 or visit the museum website. 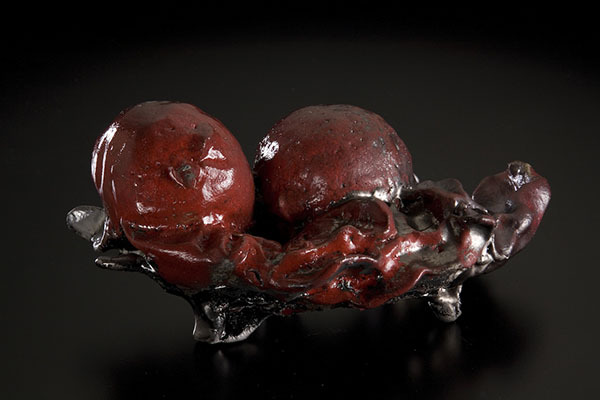 “Lemons” (after Dawn Clements), a 2008 piece in raku stoneware by Marc Leuthold. This entry was posted in Exhibition, Lecture and tagged Back and Forth, Bates College Museum of Art, ceramics, Dawn Clements, drawings, Marc Leuthold on January 26, 2015 by Marc Leuthold. 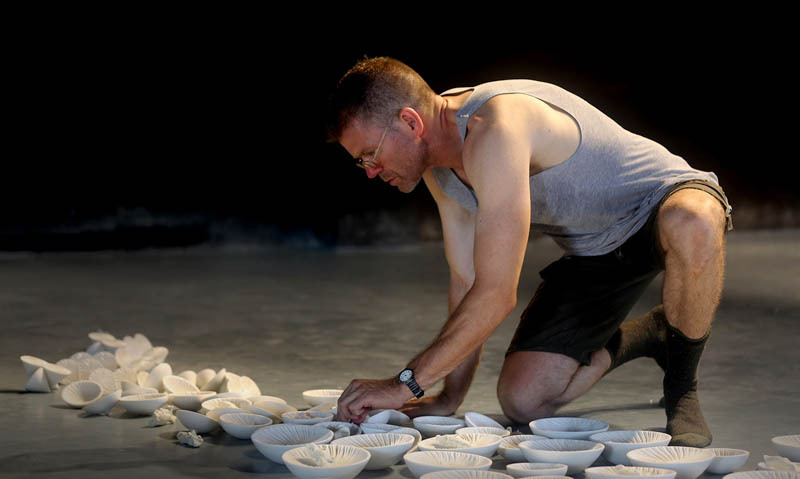 Marc Leuthold discusses Torture, his 2013 installation at the Sydney College of Arts of the University of Sydney in Australia. Video produced by Doyle Dean. This entry was posted in Exhibition and tagged Australia, ceramics, installation, Marc Leuthold, Sydney College of Arts, torture, video on May 8, 2014 by Marc Leuthold. 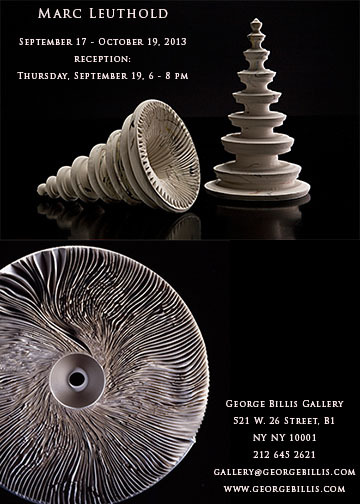 This entry was posted in Exhibition and tagged ceramics, George Billis, Marc Leuthold on September 7, 2013 by Marc Leuthold. 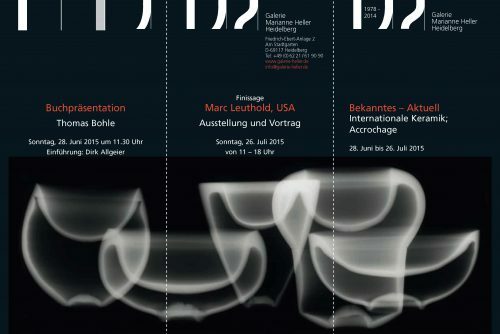 Marc Leuthold will conduct a four-day workshop at the Carlo Zauli Museum in Faenza, Italy, July 18-22. This entry was posted in News and tagged carlo zauli, Residency, workshop on May 9, 2013 by Marc Leuthold.